Rear Plate Number $4.00 on up. Driver name $4.00 on up. Nose Decal $13.00 on up. 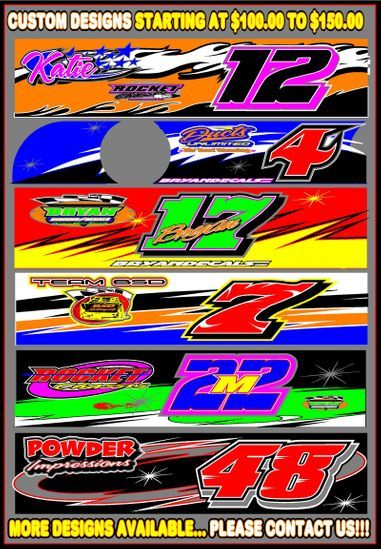 Side Graphics $25.00 on up. PACKAGES ARE DESIGNED TO USE THE MOST MATERIAL AND SAVE YOU MONEY!!! Trailer Numbers (Set of 2) 22.5" by up to 36" long. Window Numbers 4x6inch up to 3 colors. 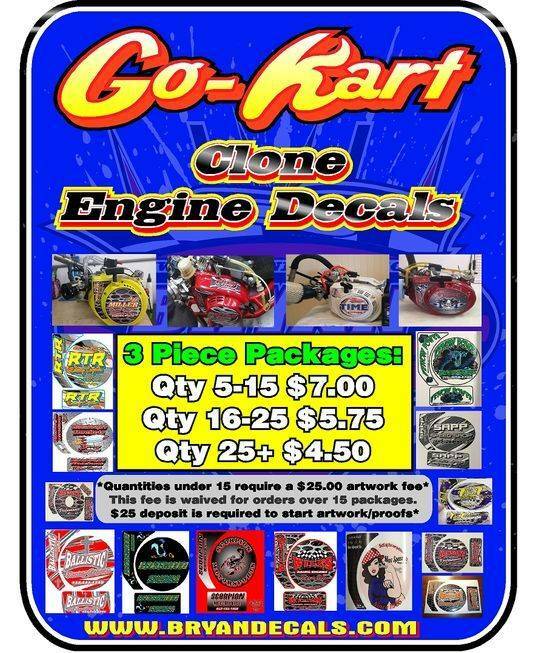 Wheel Numbers 1.5x2inch PRINTED AND LAMINATED or Done In Vinyl. -Quantity of 200 Numbers - $75.00 BEST VALUE!!! *Shipping is done USPS from $5.00 to $15.00 pending how fast you need your package! Some of my custom work packages starting at $90 on up! You'll have one of the best looking karts at your local track!